My absence is likely to go on for longer than I had hoped - I, as much as most people who are willing to share some of themselves on a blog, have had to decide whether I want to continue doing so. I have been feeling incredibly run down and lacklustre for the past 8-12 months. I have been diagnosed with Coeliac disease and whilst I come to terms with the changes I must make to keep myself as healthy as possible for my family in the future; my already sporadic posting is likely to get worse, sorry. I can't see myself closing this page down because that makes me even more sad but I seem at a loss for what to write. In fact writing that has made me realise it isn't strictly true, I have a pile of FO's to share from *gasp* November last year and beyond! 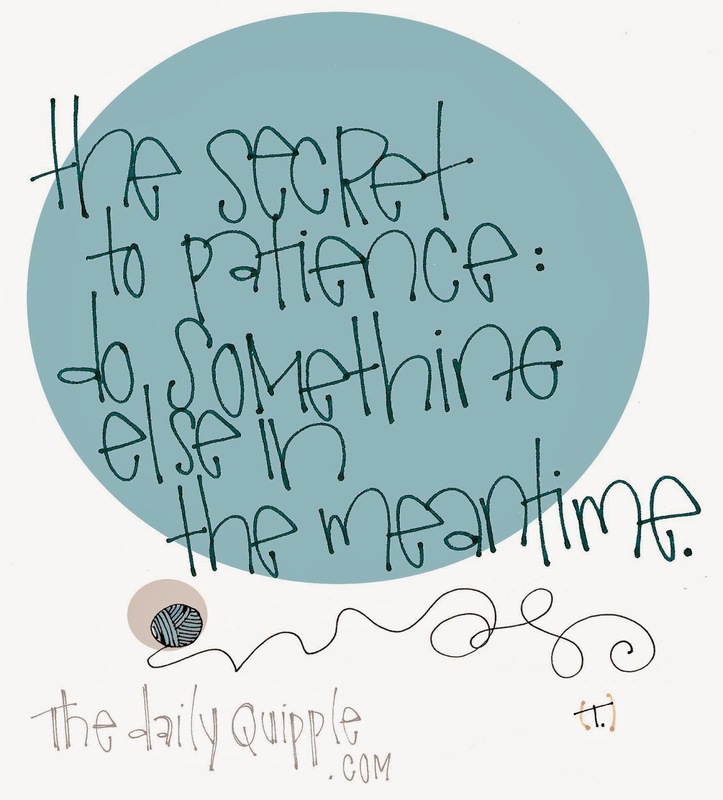 For now I found this at The Daily Quipple and it reminds me that I must be patient with myself whilst learning how to live a bit differently than before (and that yarn will get me through! ).